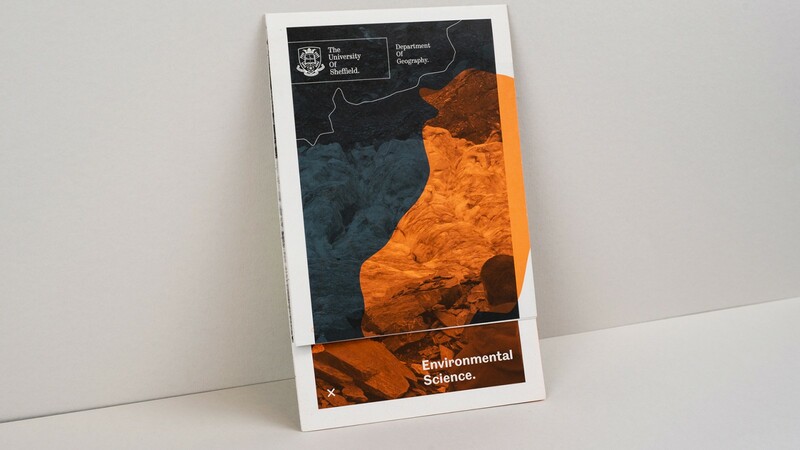 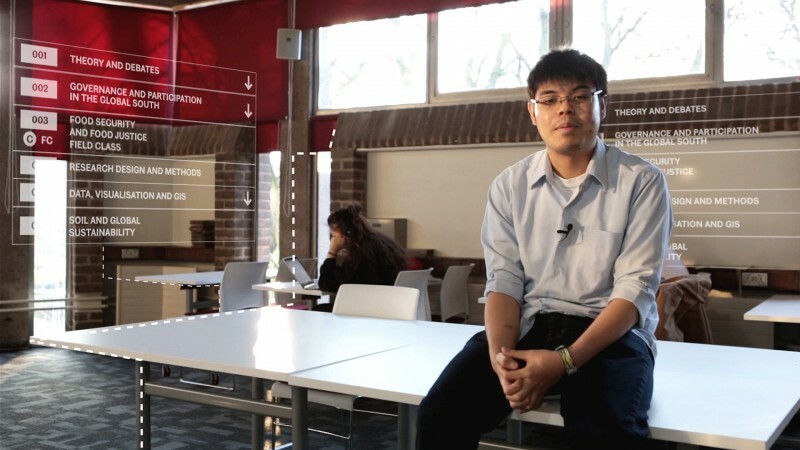 The Department of Geography works collaboratively with governmental agencies, policy makers, think tanks, charities, NGOs and is committed to tackling some of the biggest social and environmental issues and problems. 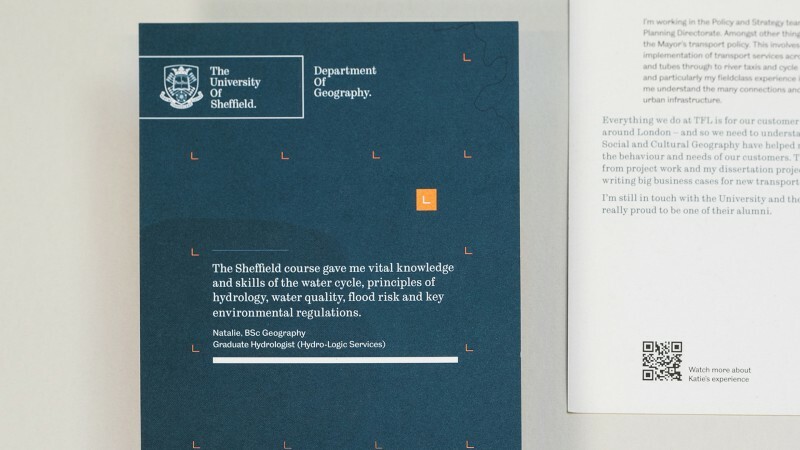 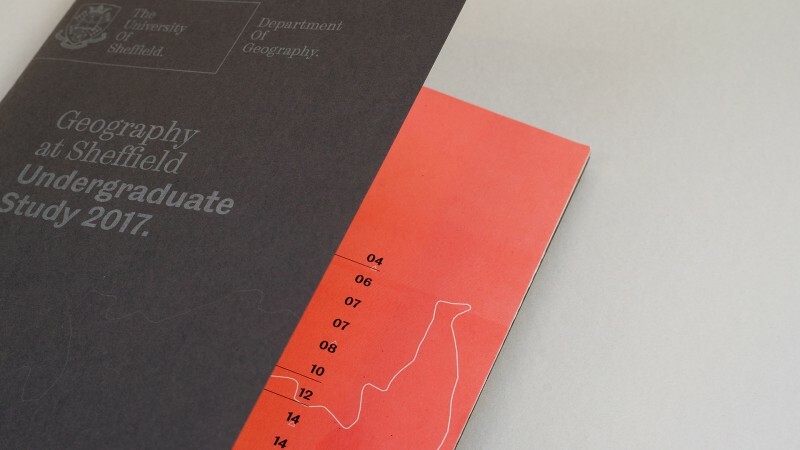 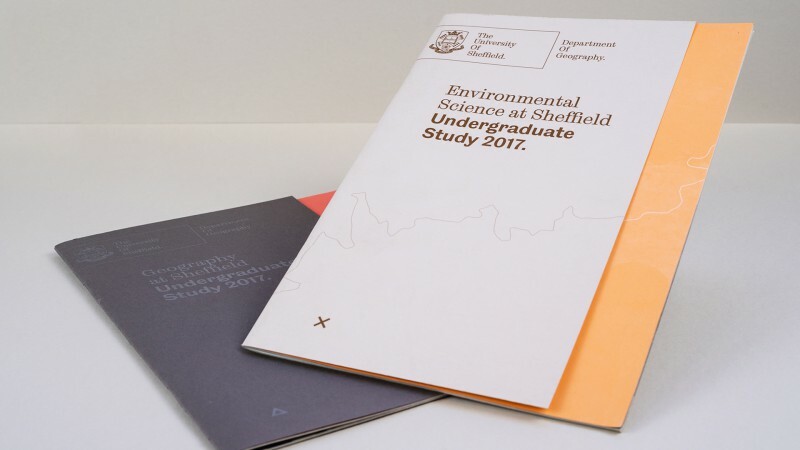 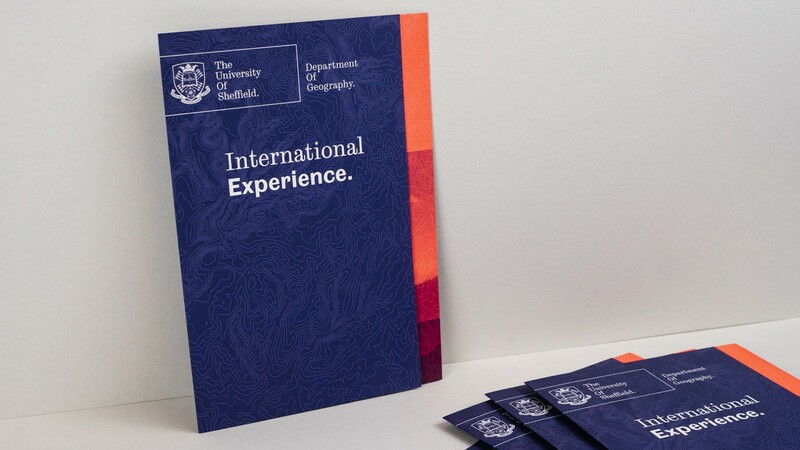 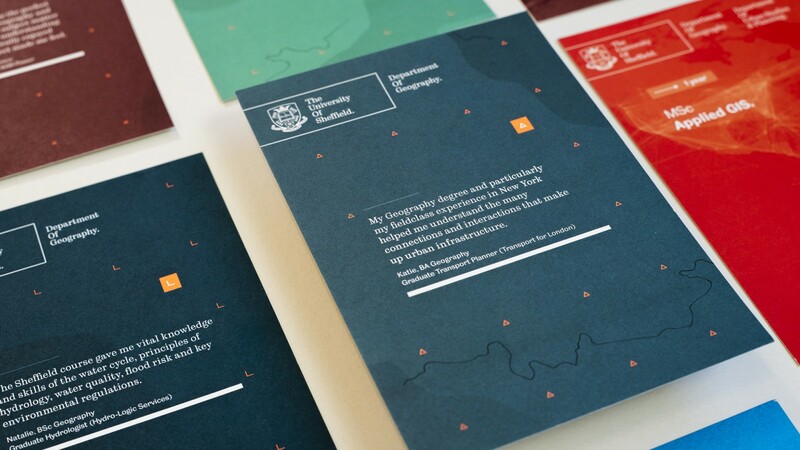 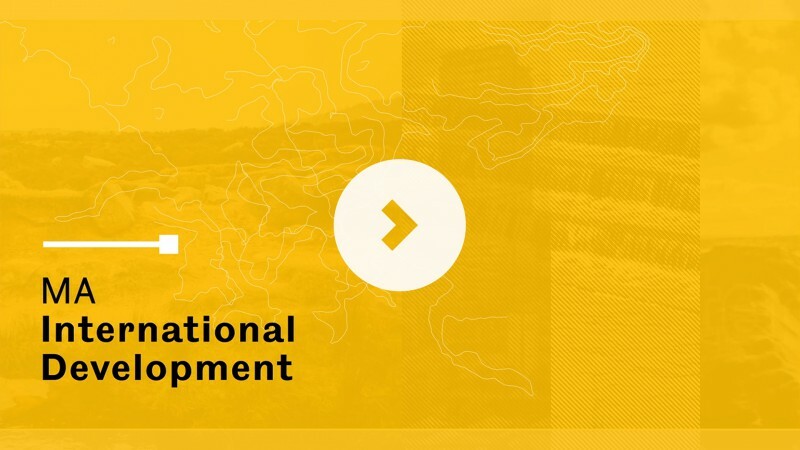 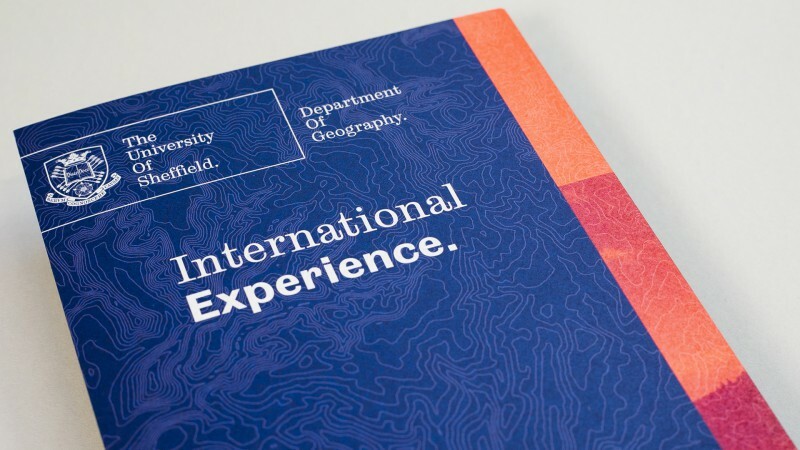 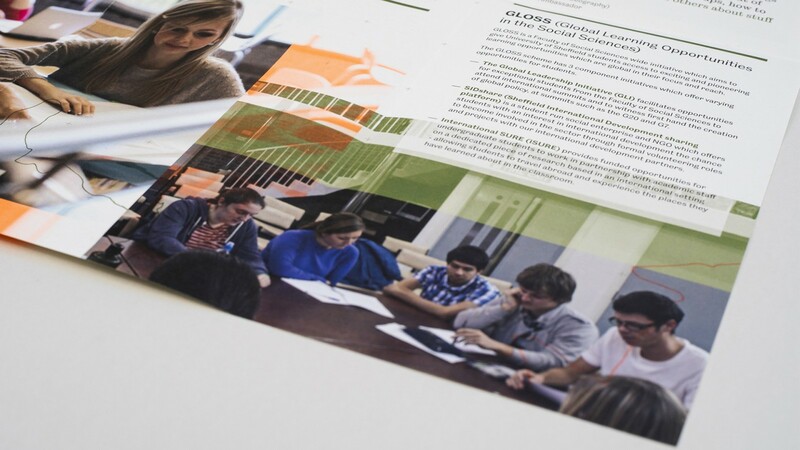 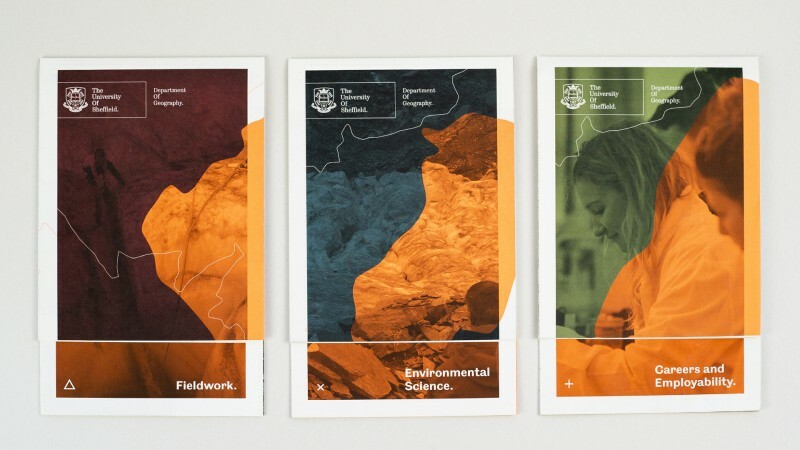 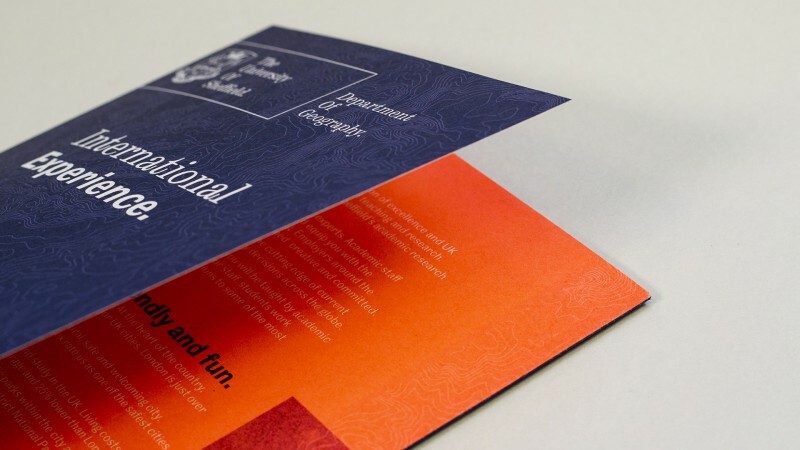 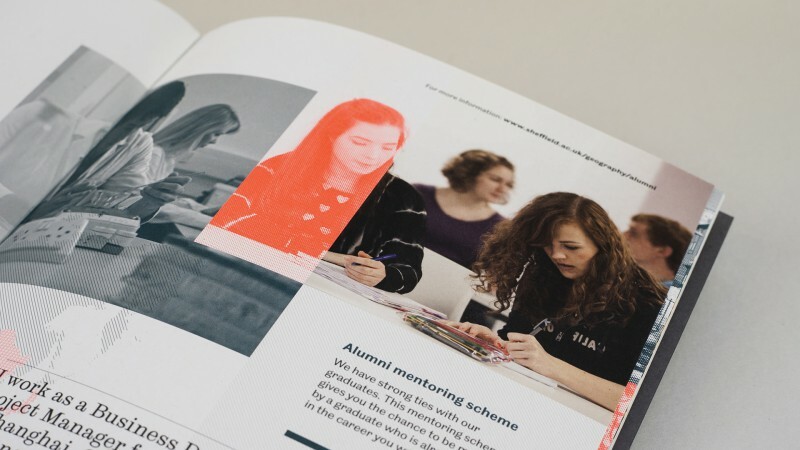 Field have produced a visual identity for the department which sits within the overaching University framework. 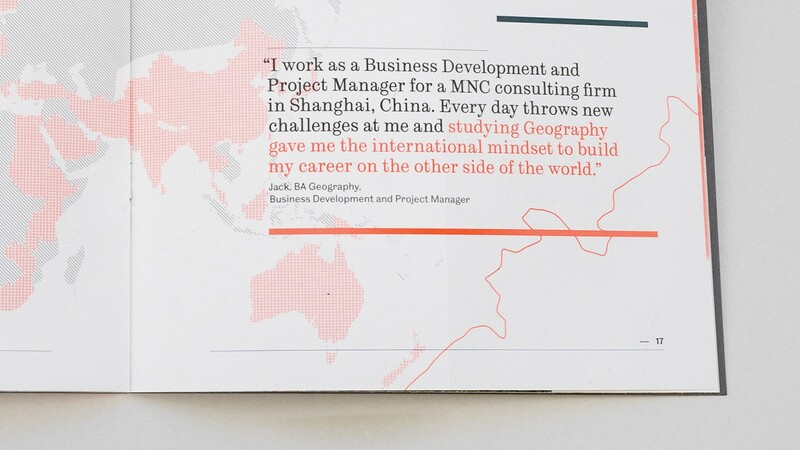 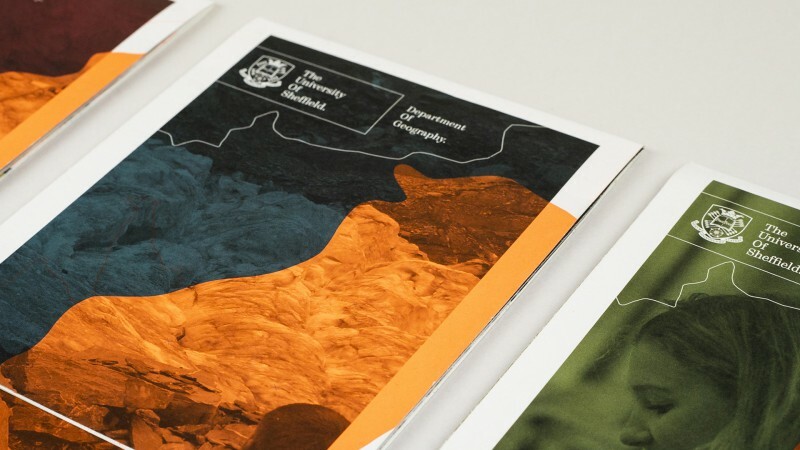 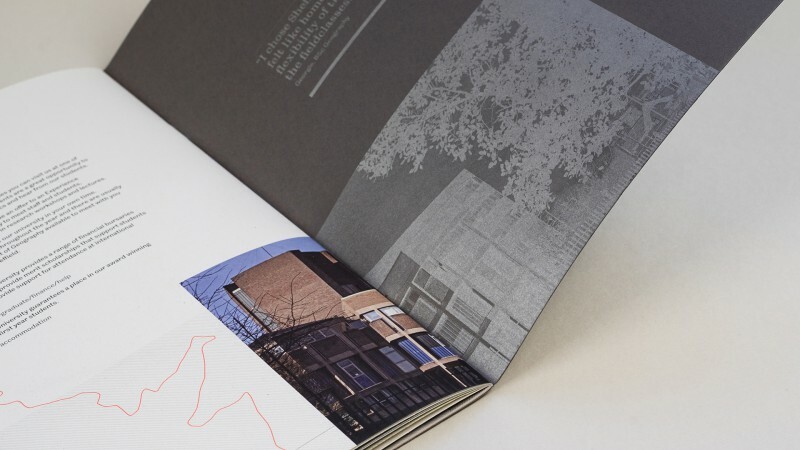 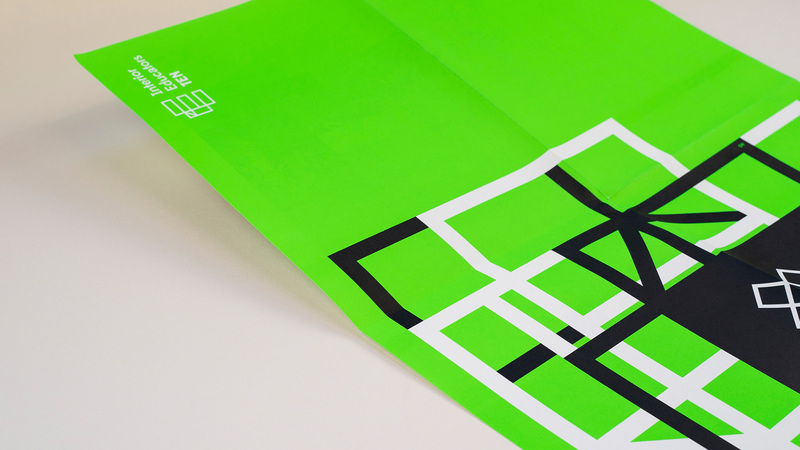 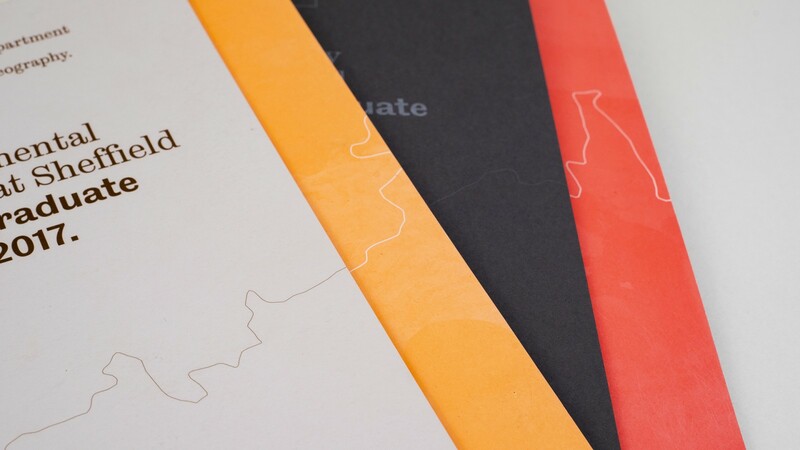 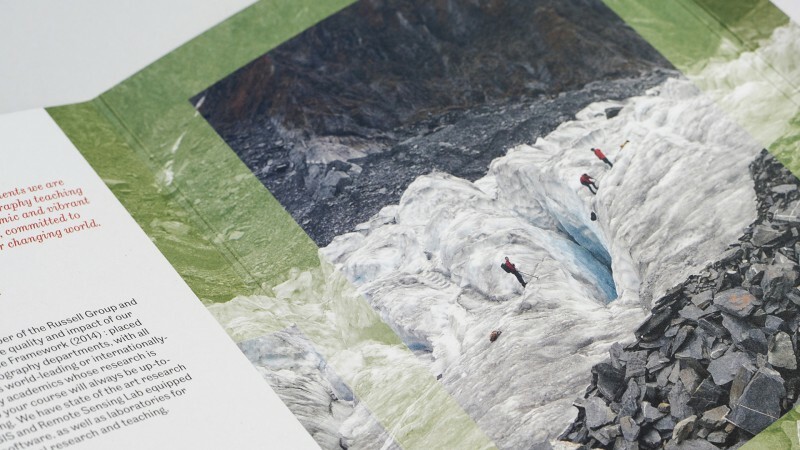 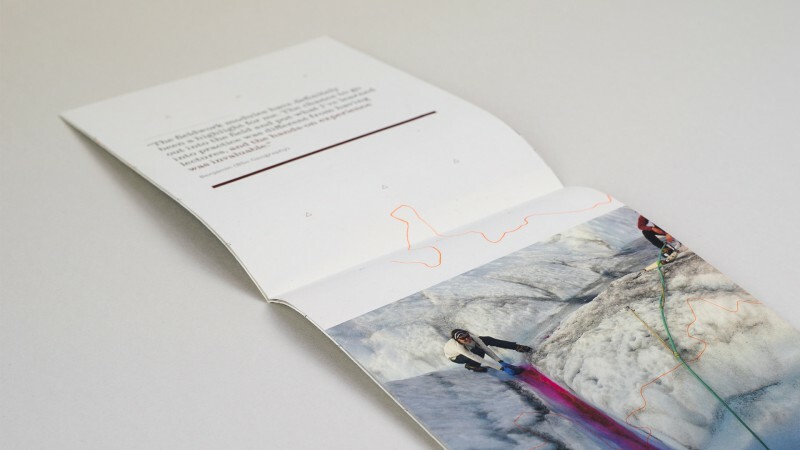 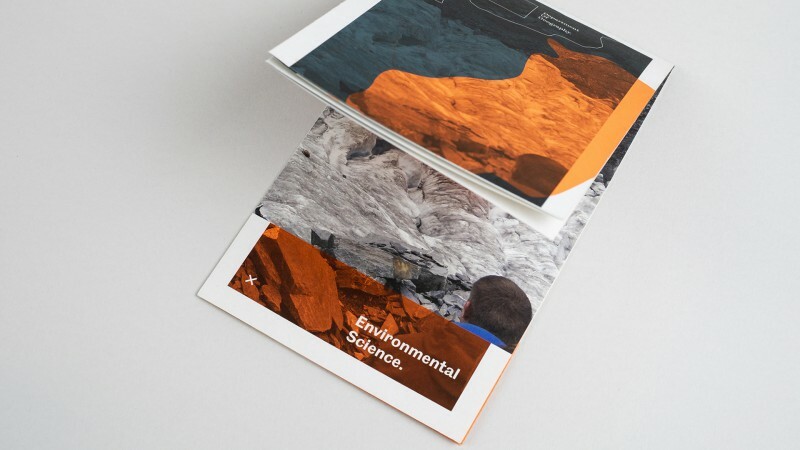 The printed materials reflect the nature of the subject, utilising graphic features of the landscape and printed formats such as map folds that connect the physicality back to the subject matter.